Trying to find pubs in High Wycombe? You’ve come to the right place. We’ve got every pub and bar in the UK listed. 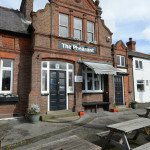 Whether you’re looking for a pub or bar in High Wycombe to play darts, somewhere to play pool or just want to have a look at a menu before you go, we can help. Three Tuns in High Wycombe has a beer garden. The pub serves food, it has an outside area. Three Tuns serves real ale. The pub has a smoking area, it has free WiFi. Three Tuns has live music events. The pub has a pool table, it shows football on TV. Three Tuns has terrestrial TV. The pub is a member of Cask Marque. O'Neills in High Wycombe serves real ale. The pub is a member of Cask Marque. 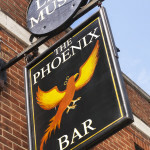 The only Venue in High Wycombe open late every night of the week. We are open till 3am Sunday - Thursday, and 6am on Friday & Saturday (last entry 2am). High Wycombe British Legion in High Wycombe has a function room that can be booked. The pub has an outside area, it has a dart board. High Wycombe British Legion has DJ's. The pub has karaoke, it has live music events. High Wycombe British Legion has a pool table. The pub holds quiz nights, it shows football on TV. High Wycombe British Legion has terrestrial TV. Falcon in High Wycombe has disabled facilities. The pub is a family friendly pub, it serves food. Falcon serves real ale. The pub has free WiFi, it is a member of Cask Marque. High Wycombe Liberal Club in High Wycombe has a function room that can be booked. The pub has an outside area, it has a dart board. High Wycombe Liberal Club has DJ's. The pub has karaoke, it has live music events. High Wycombe Liberal Club has a pool table. The pub holds quiz nights, it shows football on TV. 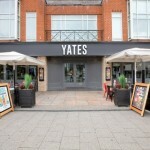 Yates in Frogmoor has a beer garden. The pub has a cocktail bar, it has disabled facilities. Yates is a family friendly pub. The pub serves food, it has an outside area. Yates serves real ale. The pub has a smoking area, it has free WiFi. Yates has live music events. The pub has BT Sport, it shows football on TV. Yates has Sky Sports. The pub is a member of Cask Marque. Bell in High Wycombe has a beer garden. The pub serves food, it has an outside area. Bell serves real ale. The pub has free WiFi, it is a member of Cask Marque. Sausage Tree in Ryemead has accommodation. The pub has an outside area, it has a smoking area. Sausage Tree has free WiFi. The pub shows football on TV. Chiltern Taps in High Wycombe has disabled facilities. The pub is a family friendly pub, it serves food. Chiltern Taps serves real ale. The pub has free WiFi, it has live music events. 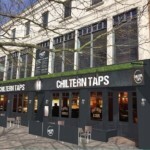 Chiltern Taps holds quiz nights. The pub has BT Sport, it shows football on TV. Chiltern Taps has Sky Sports. The pub is a member of Cask Marque. Rose & Crown in High Wycombe has an outside area. The pub has a smoking area, it has a dart board. 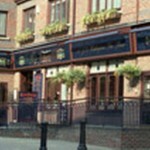 Rose & Crown holds quiz nights. The pub shows football on TV, it has terrestrial TV. 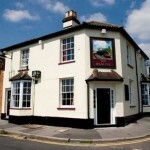 The Belle Vue Pub in High Wycombe is the Towns best secret, Fine Ales and Live music. Plus a great Malt Whiskey selection. High Wycombe Trades & Social in Ryemead has a beer garden. The pub has a function room that can be booked, it has an outside area. High Wycombe Trades & Social has a dart board. The pub has a pool table, it shows football on TV. 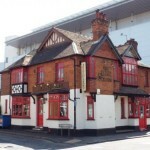 High Wycombe Trades & Social has terrestrial TV. 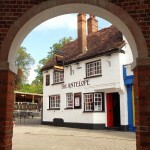 Beaconsfield Arms in High Wycombe has an outside area. The pub shows football on TV, it has terrestrial TV.